- 11 Cadbury Dairy Milk Chocolates, 12 Nestle KitKat Chocolates, and 12 Cadbury Five Star Chocolates are arranged in two circles, one upon another. 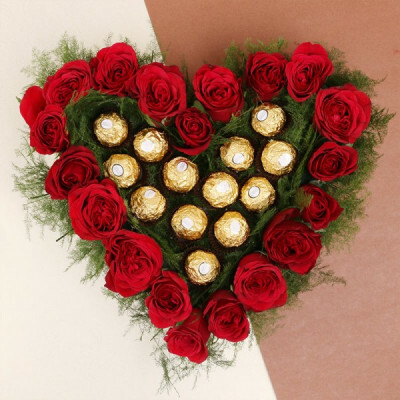 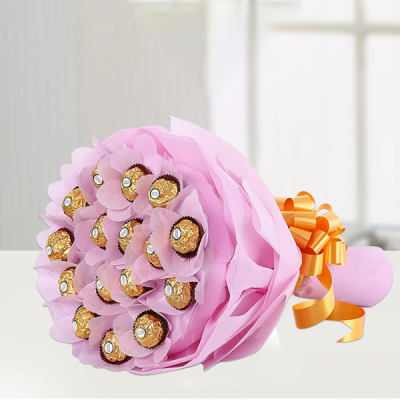 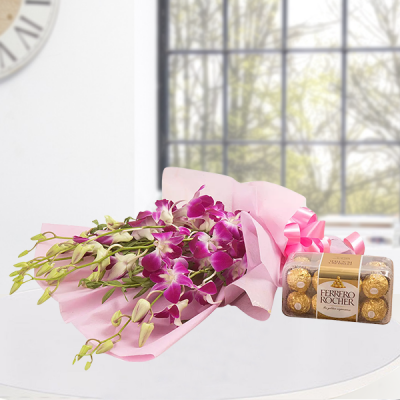 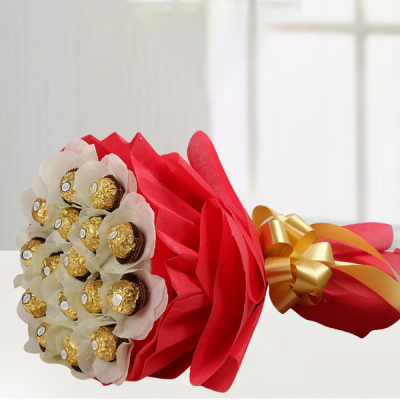 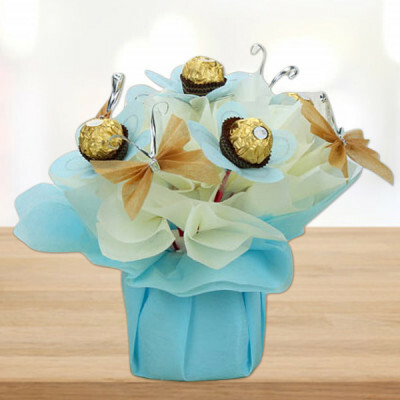 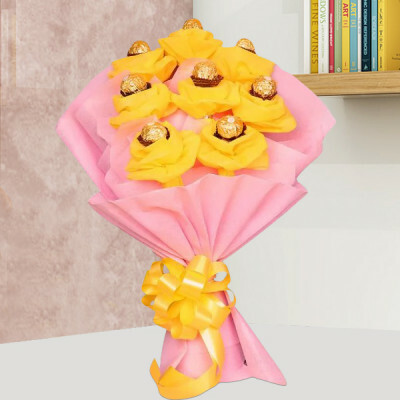 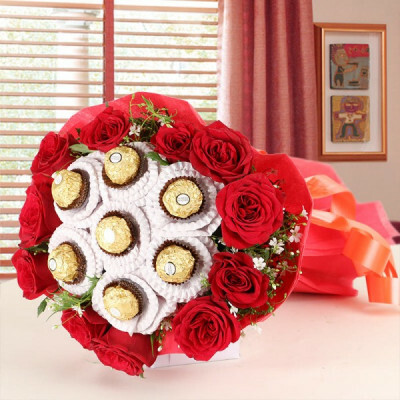 - 16 pieces of Ferrero Rocher which are decorated with artificial rose petals. 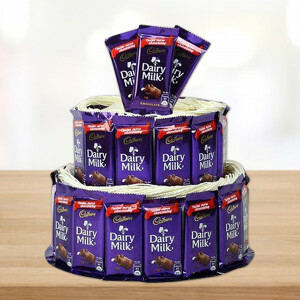 - 42 Cadbury Dairy Milk Chocolates and Cadbury Chocolairs Gold - 45 are arranged around three Round Shaped Thermocols to form a three-storied chocolate building. 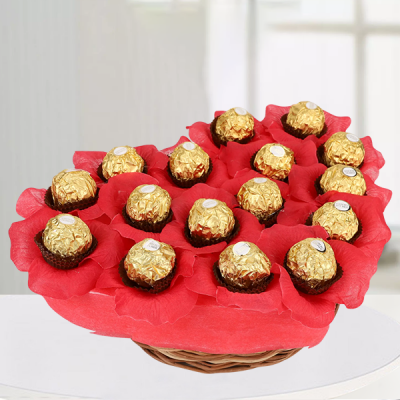 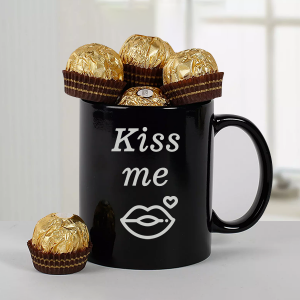 Bunch Of Ferrero Rocher Chocolate 16 pcs. In Pink Paper Packaging. 5 Ferrero Rocher in a vase. 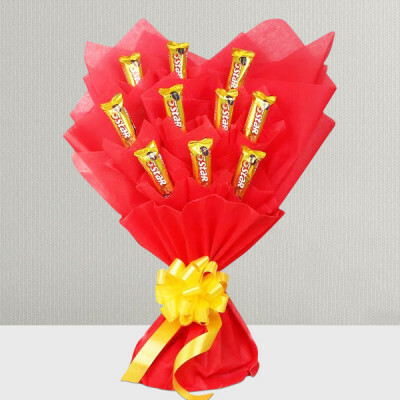 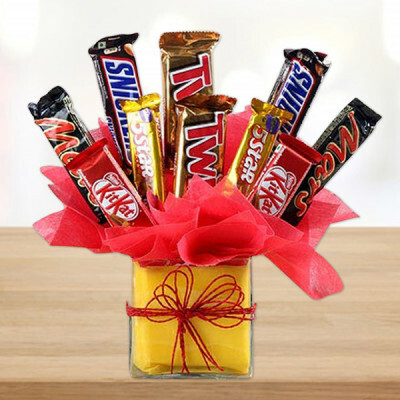 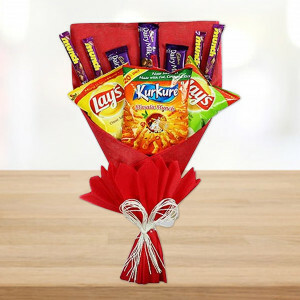 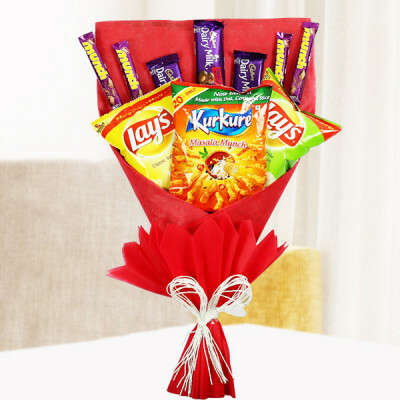 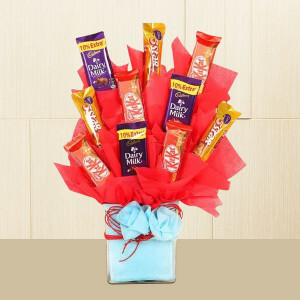 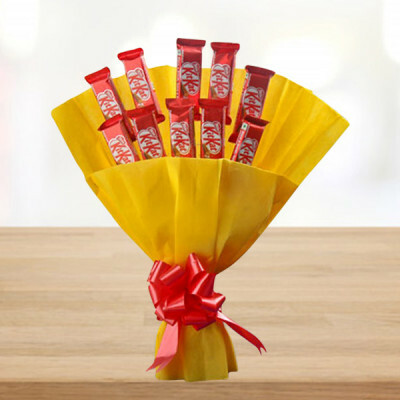 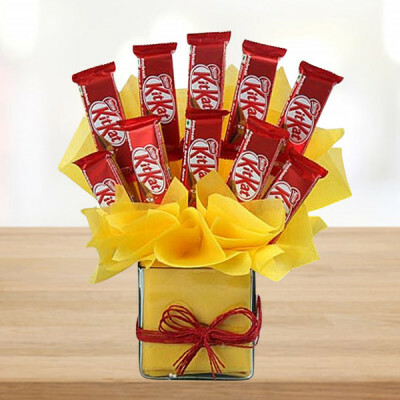 Mix Chocolates in a Vase. 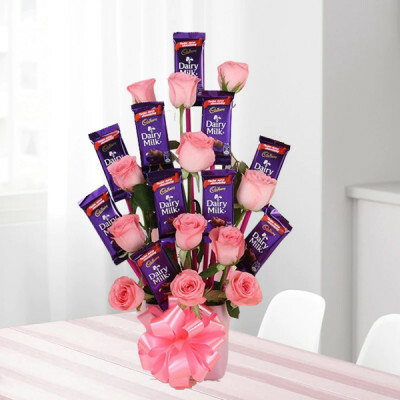 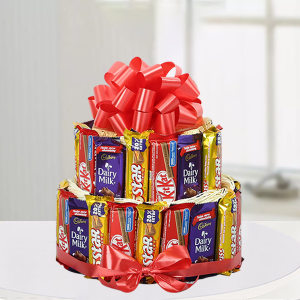 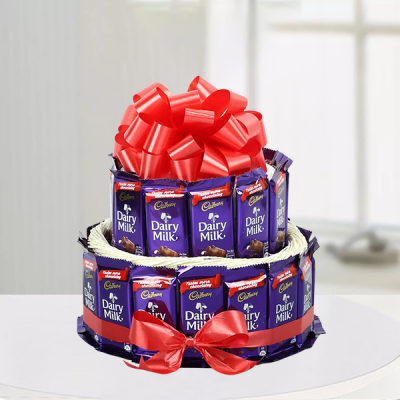 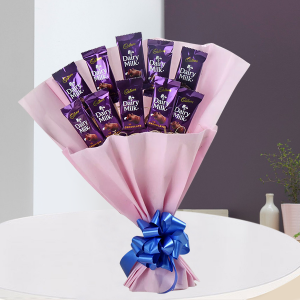 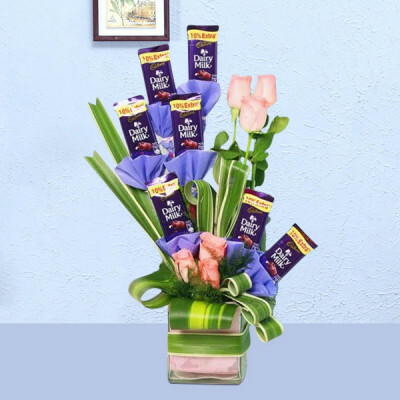 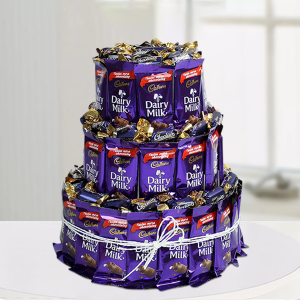 31 delectable Cadbury Dairy Milk Chocolates are arranged beautifully. 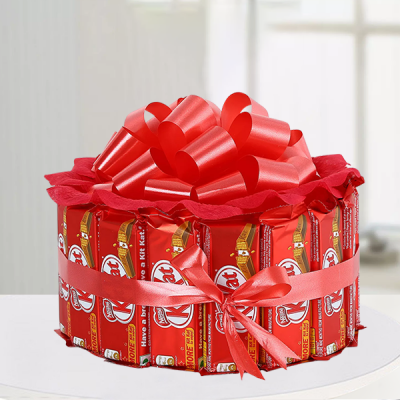 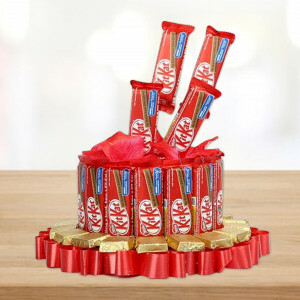 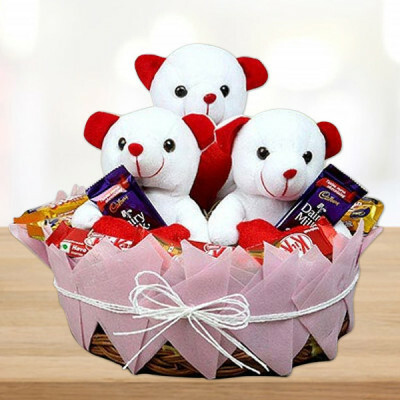 21 Nestle KitKat Chocolates are very creatively arranged around a Round Shape Thermocol, which is surrounded by lots of Square Assorted Handmade Chocolates.